Discussion in 'Lexus Lounge' started by krew, Jan 3, 2019. F1 Silver Arrows, Benito, Gecko and 15 others like this. Industry wide again cars struggle while SUV's are being bought with no questions asked. maiaramdan, Ian Schmidt, Trexus and 1 other person like this. RAL and Trexus like this. 2018 wasn't the best year for luxury automakers in the U.S. Many of the major players, including Lexus, Mercedes-Benz, and Audi, posted declines compared with last year. BMW was the key exception, posting a slight increase, as did smaller players Acura and Infiniti. As in our ranking of mainstream best-sellers, the list of most popular luxury vehicles shows a pronounced shift towards crossovers and away from sedans. And Tesla has proven to be a formidable—if unconventional—player in the sales race, as you'll see by the end of this ranking. The A4 sedan was once Audi's bread and butter, but it's not the brand's best-selling model anymore—that would be the Q5 crossover you'll find higher on this list. We've combined A4 sales with the A5 range, which includes coupe, convertible, and hatchback bodystyles, to match Mercedes-Benz, which reports sales of all C-class variants together. Cadillac's attempt to reinvent itself as a legitimate BMW competitor hasn't paid off in the showroom. The sporty ATS and CTS sedans have been slow sellers, and meanwhile, Cadillac's top-selling vehicle is the cushy, decidedly non-sporty XT5 crossover, which competes with cruisers such as the Lexus RX. The little sibling to the perennially popular RX, Lexus's size-small NX crossover has surpassed the ES sedan to become the second-best-selling Lexus. In 2019, it could face some internal competition, however, now that the even smaller UX has gone on sale. It may not be long before BMW's X3 crossover surpasses the 3-series sedan in sales. The new-generation X3, which we've combined with its X4 "coupe" sibling here so that it lines up with Mercedes-Benz's GLC range, was up more than 50 percent in 2018. When you think of Mercedes-Benz, you probably think of stately luxury sedans. But the shining sales star of the lineup is the GLC compact crossover. Not only does it compete in a hot segment of the luxury market, the GLC also has a wide variety of models comprising V-6 and V-8–powered AMG-tuned performance variants and a more rakish "coupe" bodystyle. It couldn't be much tighter in the sales race between Audi's popular Q5 crossover and its rival the Mercedes-Benz GLC, as the two were separated by just 251 units. And the Audi triumphed with only one bodystyle (there's no coupe-like version—yet) and a single performance variant, the SQ5. Lexus tapped into something special when it first started selling the cushy RX crossover in the late 1990s. This defining luxury SUV is no longer innocuous to look at, thanks to its wildly angular styling, but it's still plush and inoffensive to drive. Sales were strong in 2018, likely thanks to the addition of a new three-row version, the RX L.
While Tesla's 2018 has been filled with all sorts of manufacturing woes, it was eventually able to ramp up production enough to deliver its new electric Model 3 sedan in significant numbers—138,000 of them, according to Automotive News' count. We're curious to see what 2019 has in store for Tesla, as it has cut prices by $2000 to compensate for a reduced tax credit and still promises that the less-expensive Model 3 Standard Range version is on its way. Record light-truck results couldn’t offset declines in cars for both Toyota and Lexus brands last year. ... At Lexus, Toyota’s luxury brand, car sales declined 4.8% and light trucks rose 2.1% last month. Despite positive results from the new ES (6.7%) and LS (191.8%) sedans, Lexus’ other car nameplates posted hefty declines, including the IS (-21.0%) and the RC (-50.3%). The new UX small CUV and the NX midsize CUV offset declines of the brand’s other utilities in December. Lexus sold 453 UXs and saw NX sales rise 18.3% while RX, GX and LX sales fell (-5.2%, -0.1% and -71.5%, respectively). The UX 250h hybrid variant, whose gas-electric powertrain is a 2019 Wards 10 Best Engines winner, goes on sale this month in the U.S.
At Lexus, the RX midsize CUV again was the brand’s best-selling model, and set to be the best-selling model of its kind among luxury competitors, with 111,641 units delivered in 2018, up 3.1%. An Automobile magazine article puts the 3-row RX L at "about 22%" of RX sales. Toyota plans to launch 31 new, redesigned or refreshed models in the U.S. between now and 2021. One of those is a new-generation Supra sports car, debuting at the 2019 North American International Auto Show this month. Despite falling sales of other sports cars, including the Chevy Camaro and Ford Mustang, Hollis is undeterred. Mr1956T and RAL like this. 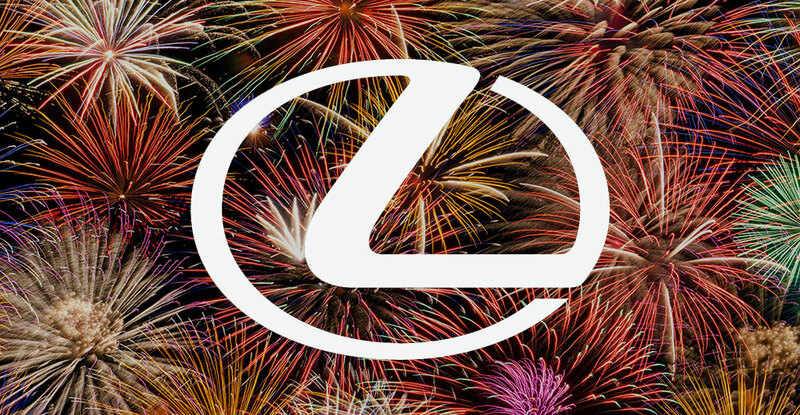 Lexus Canada finished the year with 24,111 sales, down 2.6% compared to 2017. The RX was the best-selling model with 9,329 sales, followed by the NX with 7,859. The two crossovers accounted for 71.2% of all brand sales in 2018. Ian Schmidt, mikeavelli, ssun30 and 2 others like this. Ian Schmidt and Trexus like this. The 6th-to-7th-generation ES transition might have played a minor role in this, but in the crossover-crazy world we live in (plus the ES's traditional demographic slowly dying out), I'm surprised this didn't happen sooner.